Worker Emma Caron, of Hopedale, hands only, weighs and crowns pre-rolls, medicinal cannabis cigarettes, in July. We’ve written at length in TWIW about the struggles of smaller Massachusetts marijuana businesses to get through the local approval process, and the resulting lack of diversity and equity in the industry. Now, at least one city is moving decisively to address that problem. Somerville’s Board of Aldermen on Thursday unanimously passed a dramatic equity ordinance. It stipulates that for the next two years the city will approve only existing medical dispensaries and state-certified Economic Empowerment applicants or locally-owned retailers and co-ops. Also, those approvals must be granted on an alternating basis, and in equal proportion to each group. 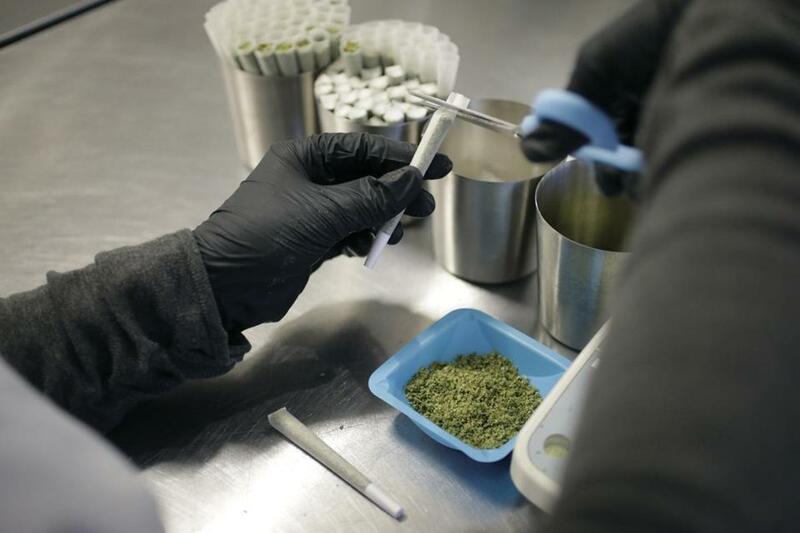 What this means in practice is that Somerville medical dispensaries can’t move ahead with offering recreational pot unless an equal number of locally-owned or economic empowerment businesses also get recreational permits from the city.